MPC™ N-Dure Nano-Infused Floor Finish - 2.5 Gal. A pure acrylic finish formulated with a non-additive that provides outstanding scratch resistance, abrasion resistance, and durability. The nano-additive significantly improves leveling properties which allows the finish to be distributed uniformly, ultimately easing the application process. Because of its ultra-durable and low maintenance properties, it is the cost conscious choice for high traffic areas. 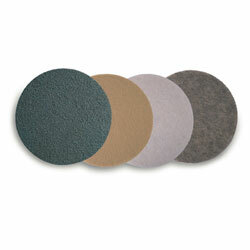 This 19% solids styrene-free floor finish is well suited for scrub and recoat programs. Daily dust mopping and damp mopping, spray buffing, and mop on restorers keep your floors looking beautiful, even after multiple recoats. This finish will not yellow and can be stripped easily with conventional floor strippers.